Intermediate Making and Tasting Masterclass - 21st April 2018 | Paul A Young Fine Chocolates. 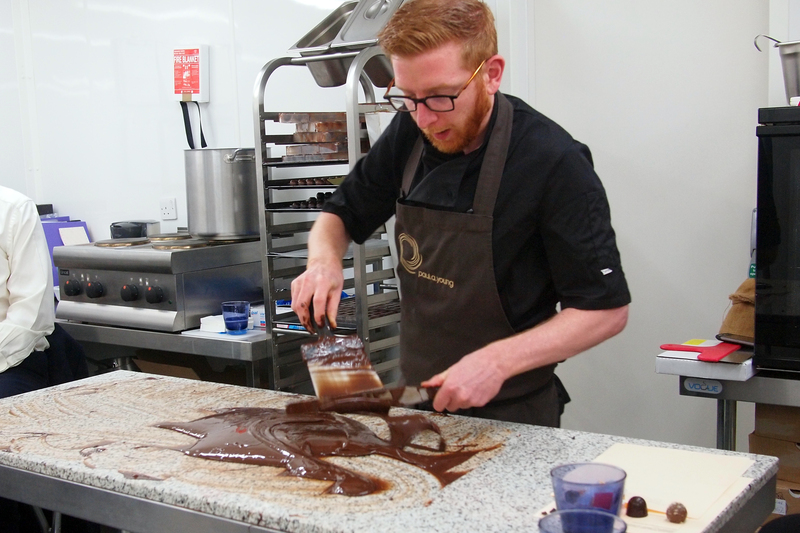 We are delighted to offer an Intermediate Chocolate Making class to follow on from our Tasting & Making class. Paul will also hold a chocolate tasting training workshop at the end of the class to help you identify all the complexities and flavours in many different origins. This class is designed for anyone who has completed our beginners tasting and making class or who is already familiar with tempering and ganaches. Location – paul.a.young fine chocolates, 33 Camden Passage, Islington, N1 8EA. 5 min walk from Angel tube station. 4 people maximum per class.